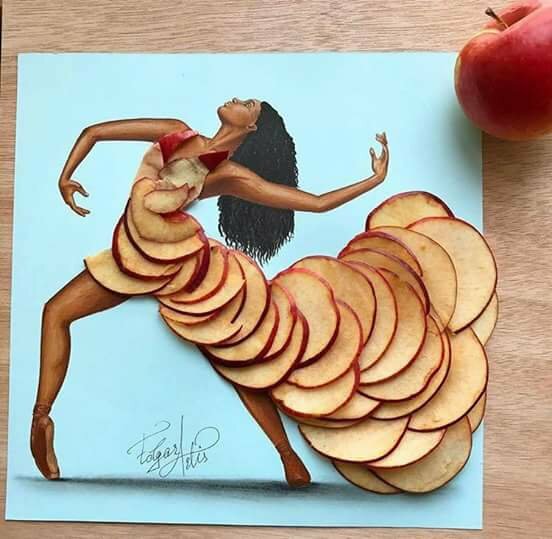 Edgar Artis is the fashion designer whose idea was to create a food dresses. His creative idea is on the top list of the most creative fashion designer dresses ever. 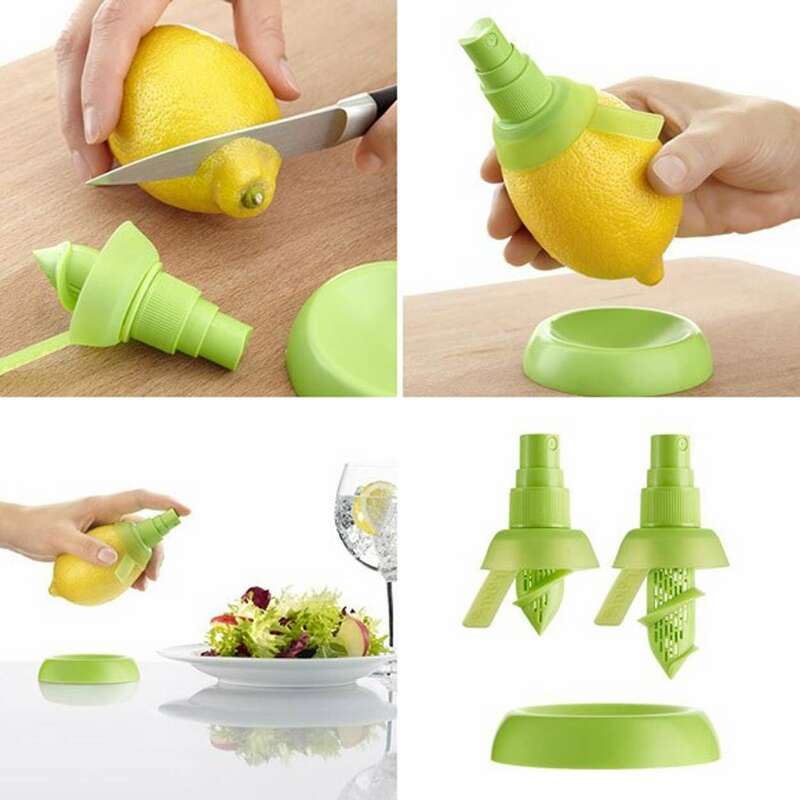 In the following images, you will have an opportunity to see food dresses. 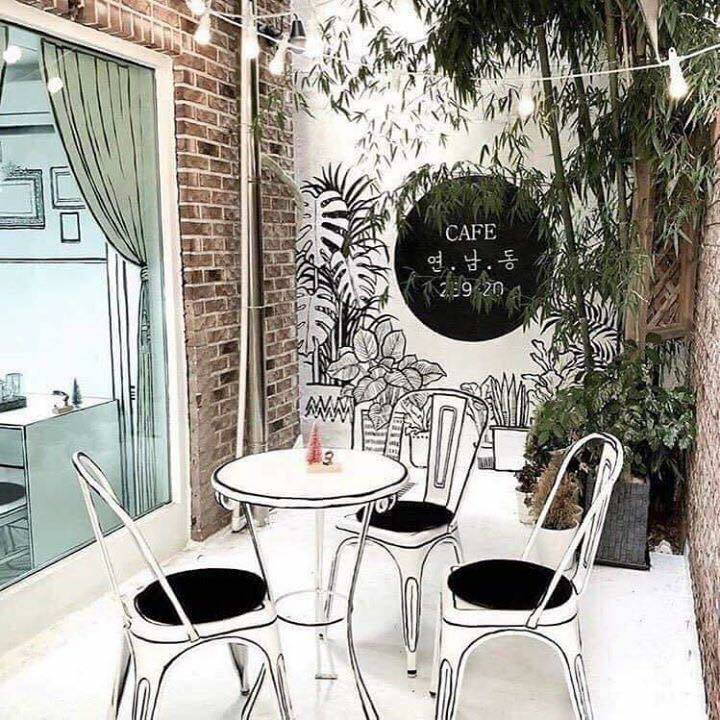 Food is not just for eating but also for making art on a paper! 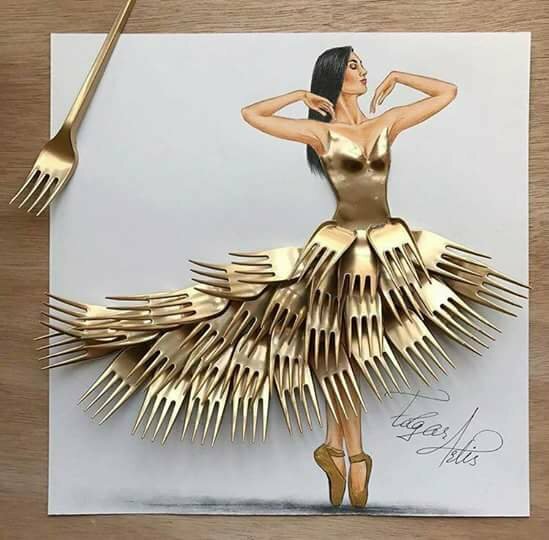 What follows next are a sunflower dress, coffee beans dress, french fries and ketchup dress, fork dress, lettuce dress, whipped cream dress, pineapple dress, cheese dress and the last one – apple dress. 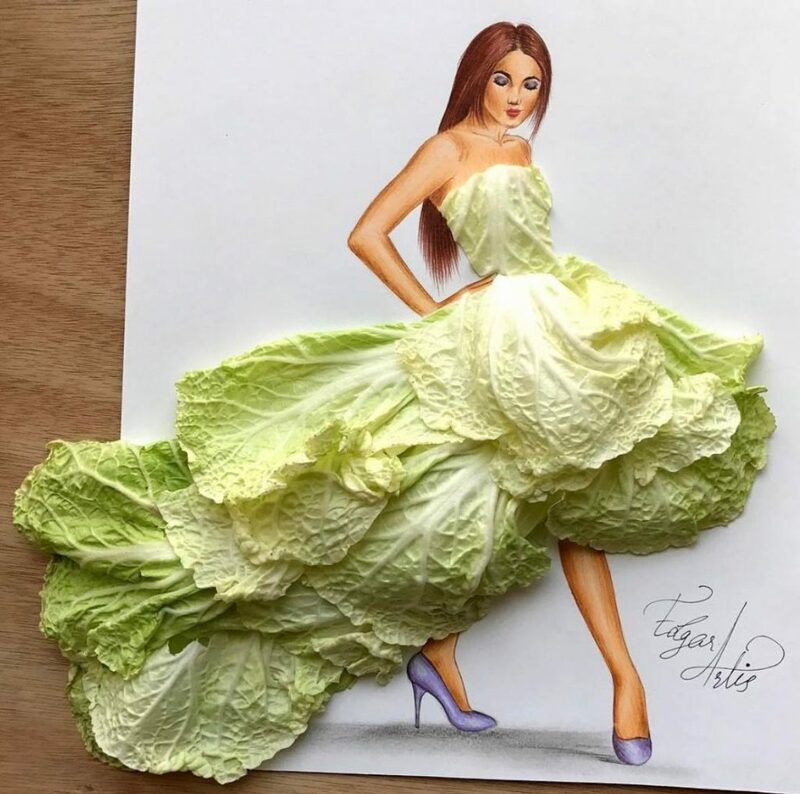 Scroll down to take a glance in interesting art drawing of modern dresses and check our website to read about artistic veggies and fruit salad decoration! Instead of eating sunflower seeds one modern designer decided to make a paper art of it. 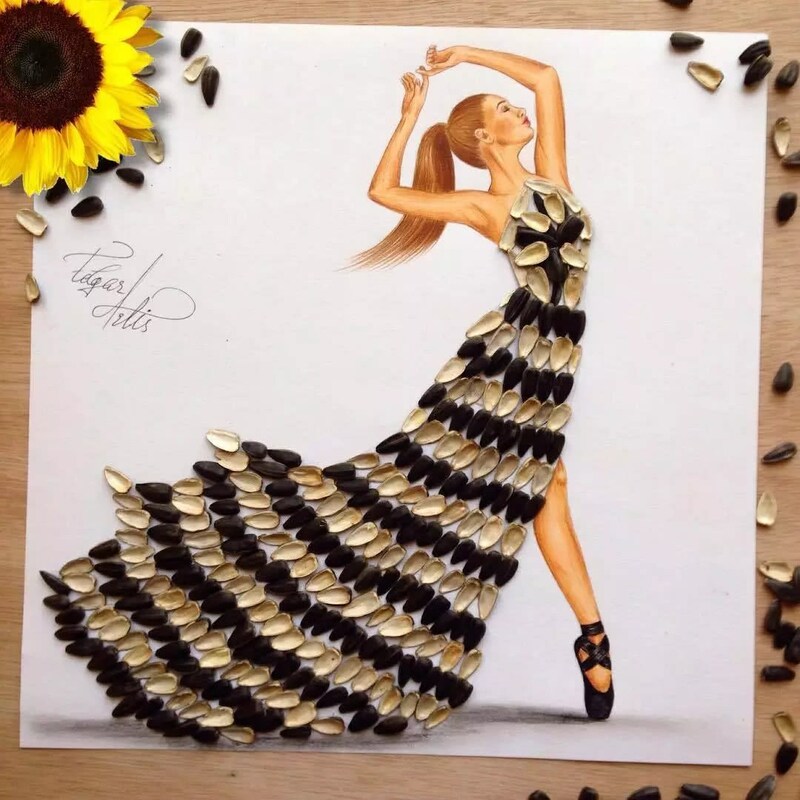 Black and white dress design made of sunflower seeds are in this photo, a very nice idea! Not just that french fries with ketchup are our favourite food, but this can be our favourite dress too. 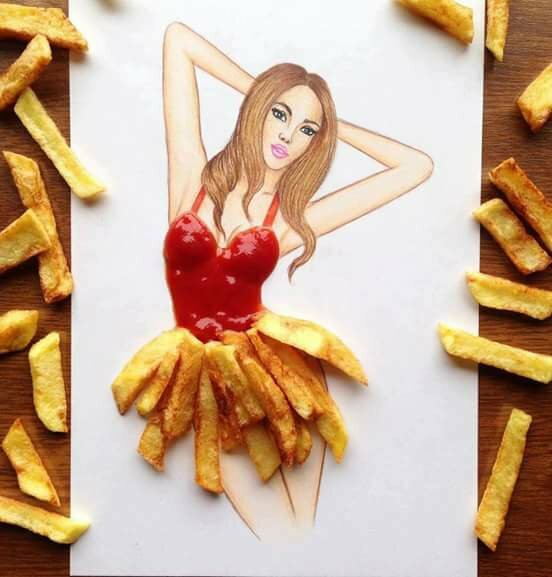 T-shirt painted with ketchup and skirt painted with french fries. Lettuce is a healthy food that is good for our body and mind but also is good to make a piece of art using this veggie. 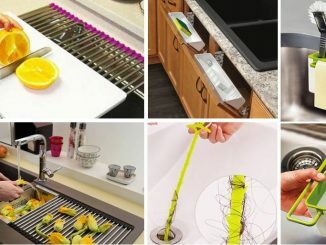 Look at this creative design that is too good to be true! Do you know that the leaves of a lattice can be used for creating unique dress design? If you didn’t know now you know, this is cool art! 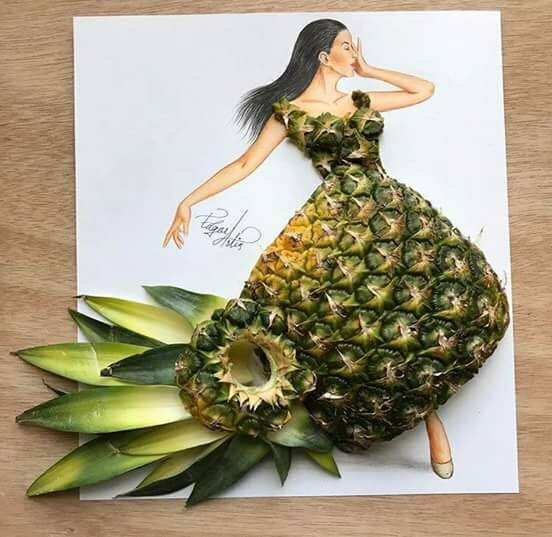 Pineapple is an expensive fruit for eating but also looks expensive when used for creating a clothes design. Inspiring paper art of food! 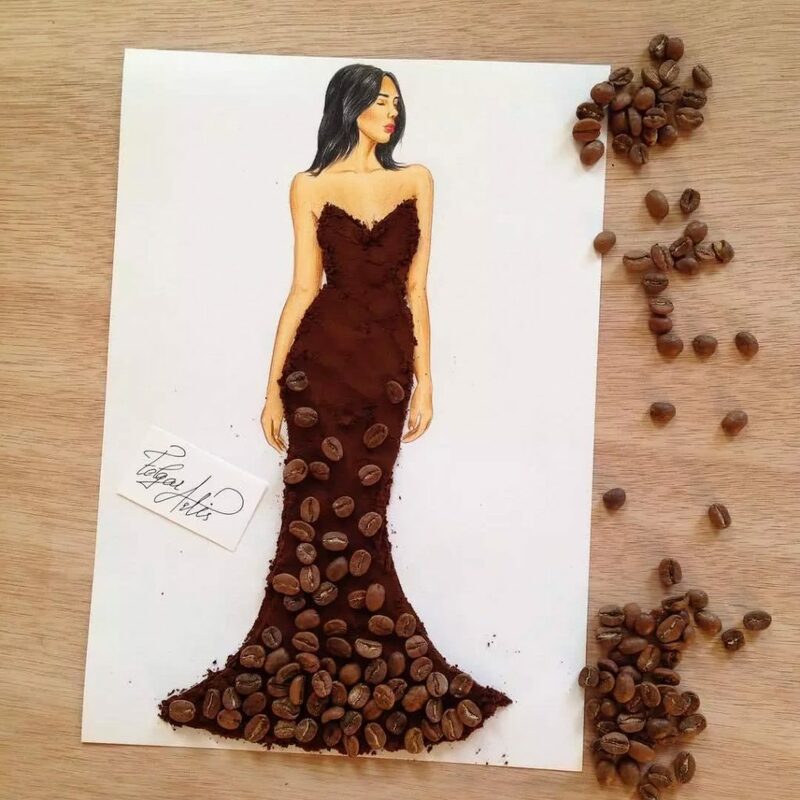 Exclusive dress design made of coffee and coffee beans. 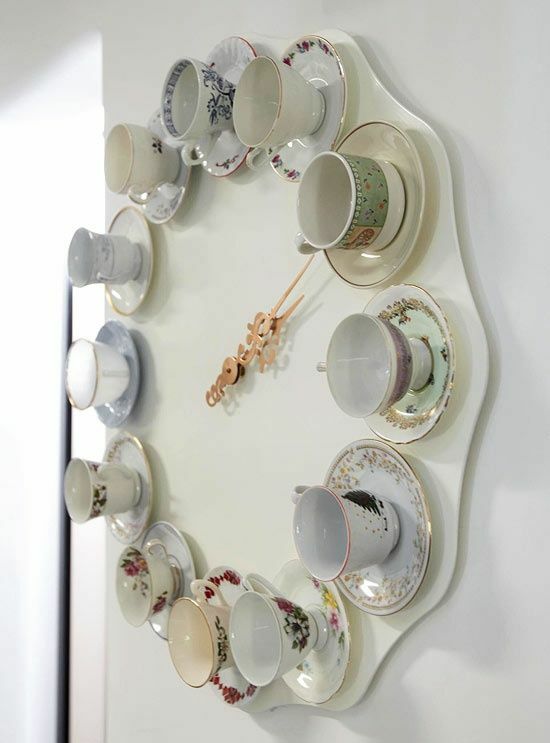 Creative idea for people who enjoy the taste and smell of coffee! 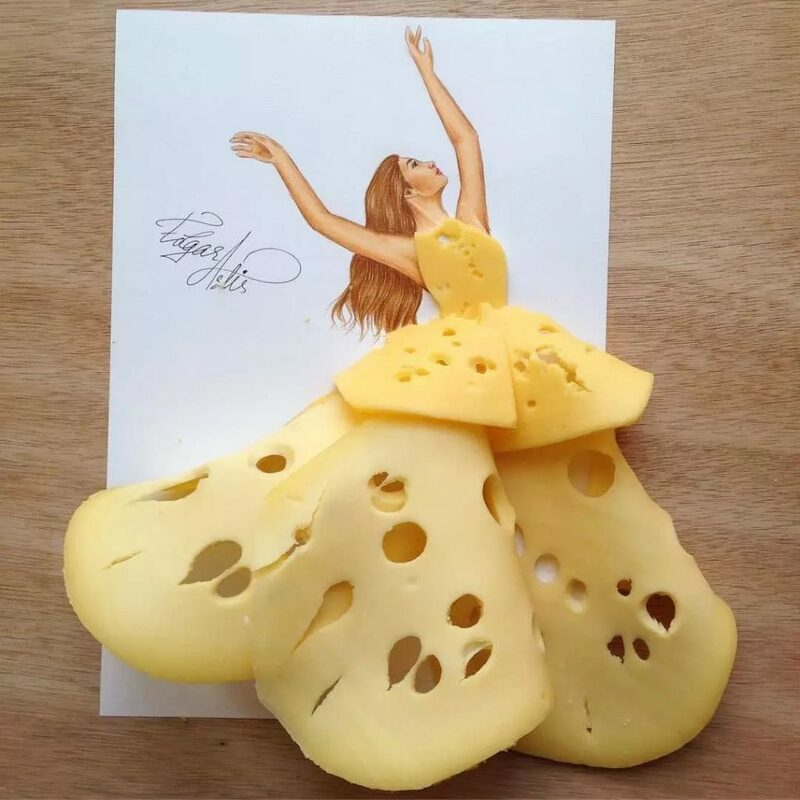 Interesting cheese with holes, woman clothes that are eye-catching. 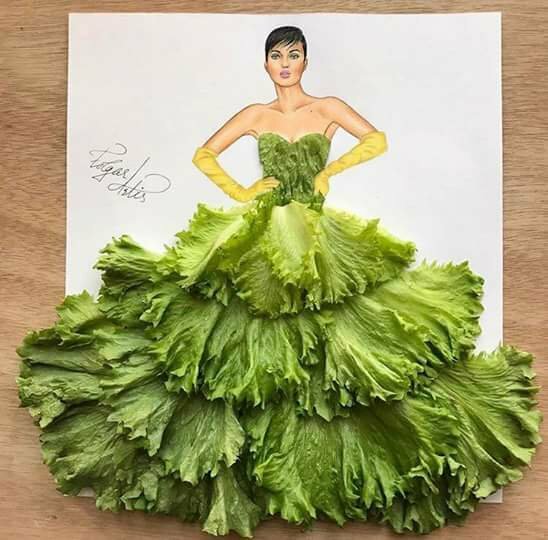 Yellow dress made of food is a nice design, we must admit it! 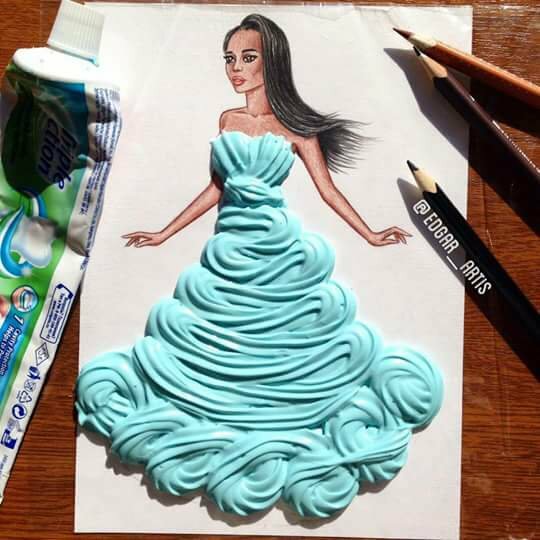 A toothpaste is not just used for washing your teeth, but also can be used for drawing a woman’s blue dress. 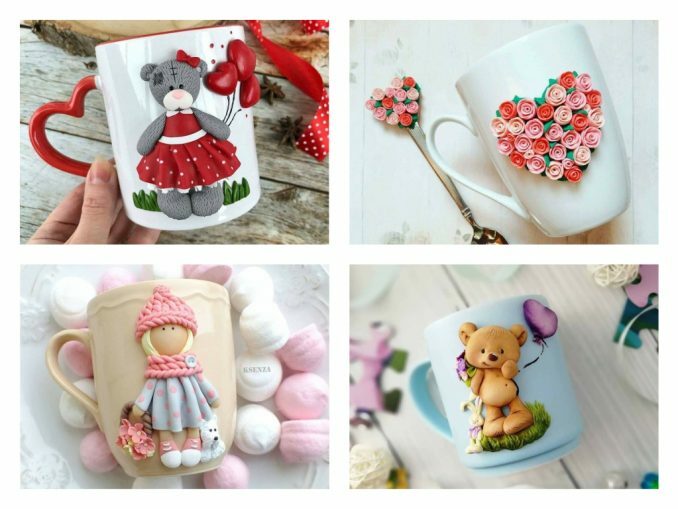 See this creative idea and try to draw this in your free time! 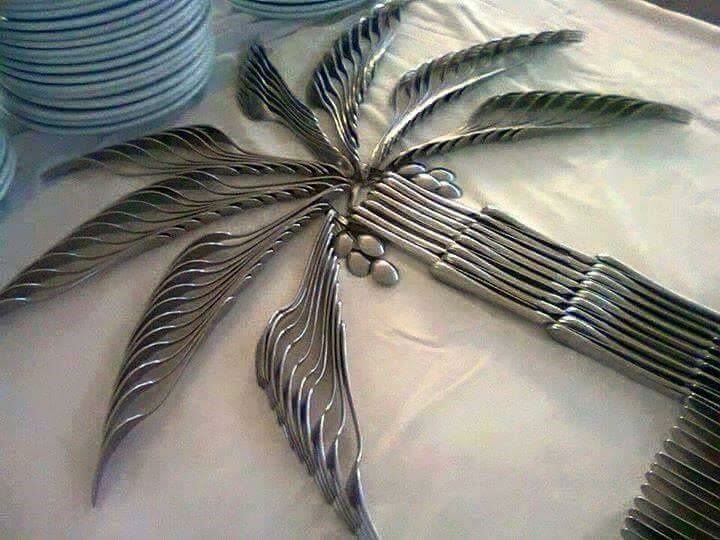 Fork and kitchen tools are not just used for eating and kitchen set, for woman’s dree art. Cool paper art that makes an optical illusion, is this really invented by a man. The last idea of this article is about an apple dress. 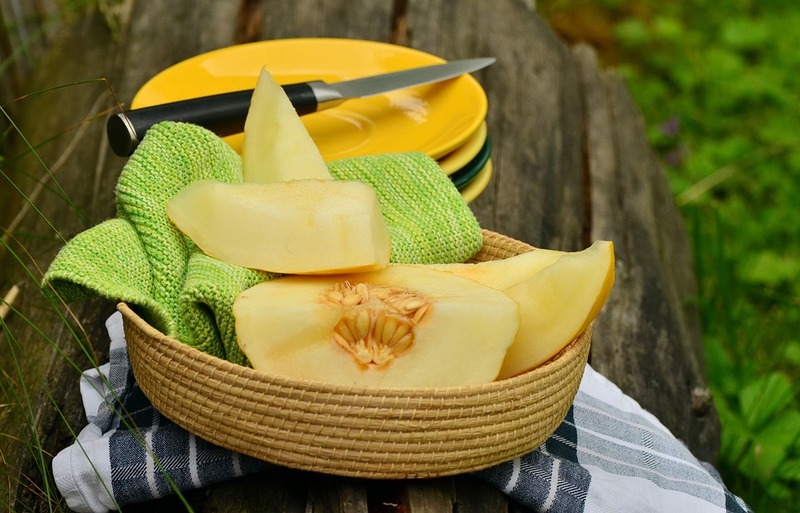 Do you like the idea of apple slices used for woman clothes? If you like it please share it with your lovely friends and people you know!